Beautiful wilderness setting next to the lake. 1st 8 holes of original design remain. I-680; take 72nd north 1000', turn west at camping sign, then right into lake entrance for boat ramps. 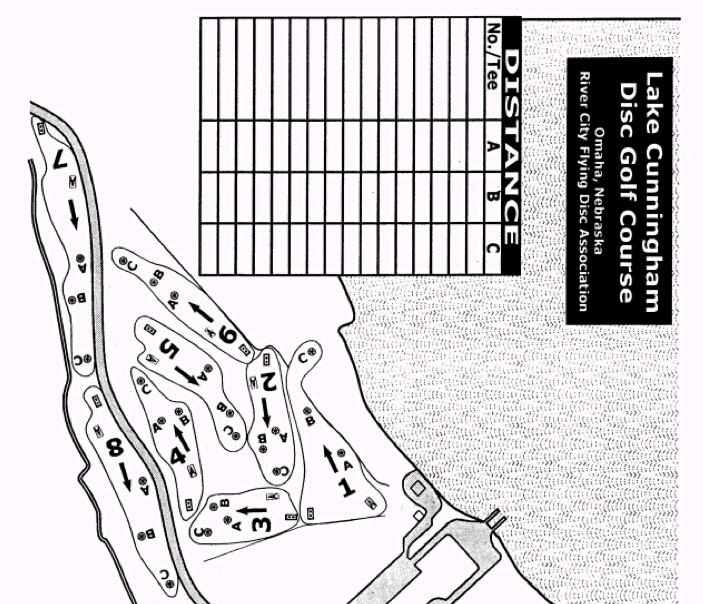 Course map suggested. 1st hole is up hill, west of parking lot. I tried playing this course on 7/31/11. The last ten holes are unplayable because they are no longer maintained. The first 8 holes are barely playable if you can find them. I'd recommend somewhere else until they clean it up.